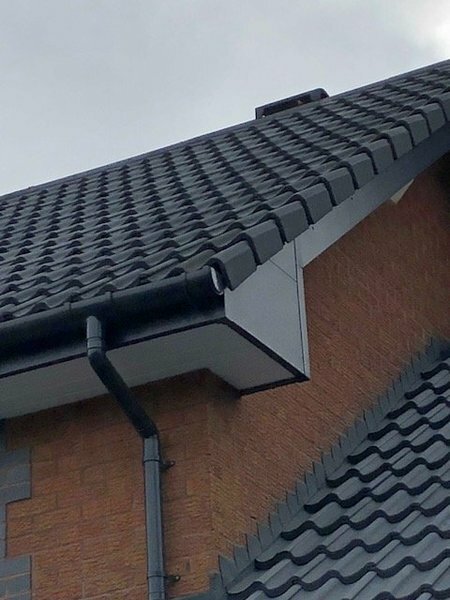 Advanced Roofline Systems is your area’s No 1 Swish and Concord approved installer for all replacement PVCu roofline products such as Fascias, Soffits, Barge boards, Cladding, Dry Verge and Guttering. Maintenance free means no more climbing those ladders to paint those barge boards or paying out for a company every few years. You will never have the hassle any more. 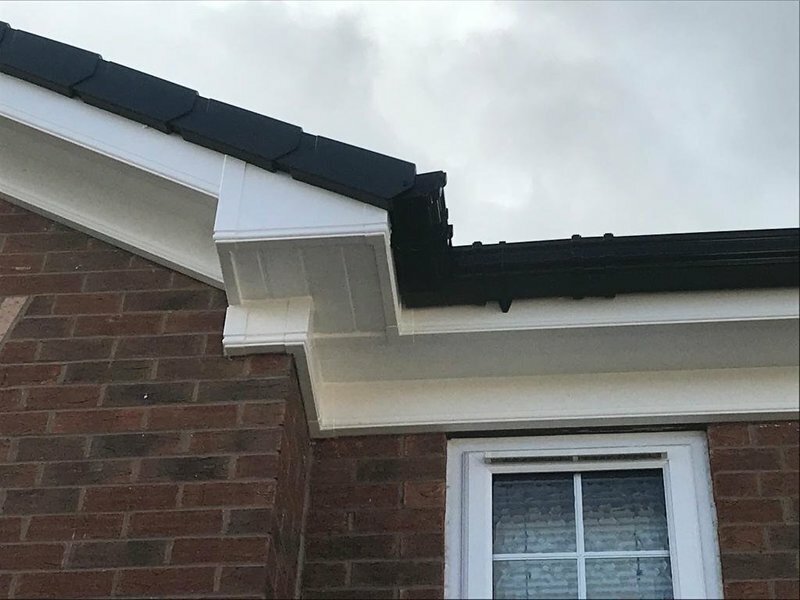 A PVCu roofline from Advanced Roofline Systems will also improve the value and cosmetic appearance of your home forever. If you require any further information about our products, call us FREE on 0808 178 8585 and we will be delighted to hear from you. First, I apologise for late review, this is due to unforeseen circumstances. 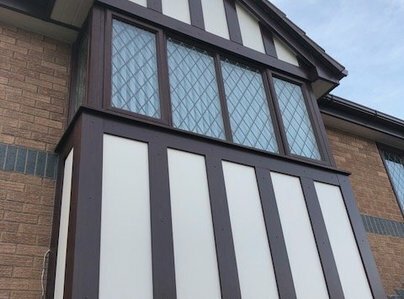 Phil at Advanced Roofline Systems was most professional, he took the trouble to bring samples, he did not rush or push our decision and gave us excellent advice , we were kept updated every step. We had a complete Replacement PVCu Roofline System: The price was reasonable, the team arrived on time as promised, all rubbish was removed and the team treated our property with respect as they did with our neighbour. I could not recommend this company highly enough. We are so pleased with the work done. Customer service excellent as well as a an excellent job. I will give this company 5 stars....more if I could! Removal & Replacement of Wooden Garcia's,sofits and glittering. 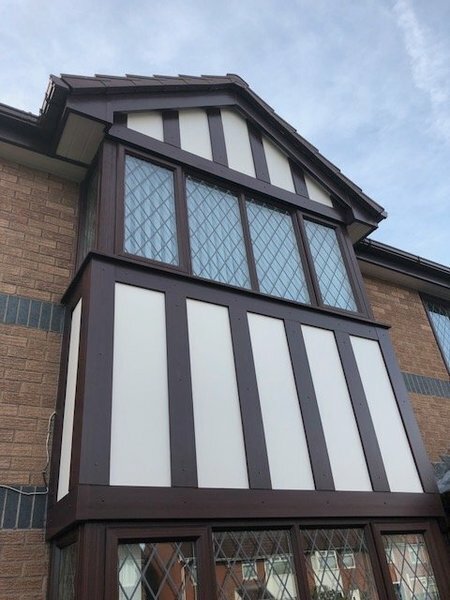 Removal and replacement of our wooden fascias, guttering, sofits and downpipes and replaced with White PVC and a black Tudor style design on the front gabel end. Phil (the owner)came over to quote the job initially & brought a demo model to showcase materials that would be used & explained the process. A very helpful & professional way to do business & no other company offered us this. This gave us a lot of confidence as we could physically see what would be done.We could not be happier! Phil's team arrived on time each day (between 8am and 8.30am) and worked so hard for 3 solid days! Jay & Steve were the most polite,well mannered and hard-working guys I've ever known! They did not even stop for a break unless I offered them a drink. The materials used were of very high quality, and they did an amazing job. They kept everywhere neat & tidy along the way & cleared away after the job was complete taking all the rubbish and left the our property clean and tidy. We cannot recommend them highly enough. 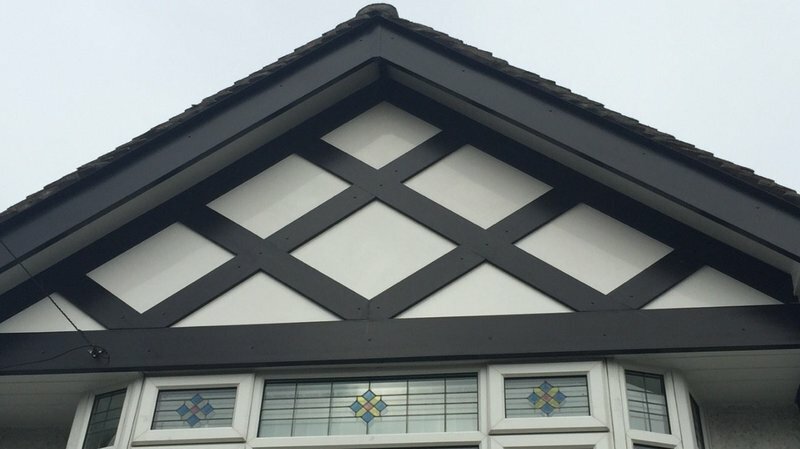 Advanced Roofline Systems are a high quality company fitting high quality products without a doubt. They employ professional and well mannered workmen which is so refreshing to see when you put your trust in a company to conduct work on your home. It is nice to see that the level of professionalism and honesty shown by Phil the owner, also is the same when it comes to his employees doing the work. This is so important! We recommend them without reservation! Worth every penny! All our gutters and fascia board were replaced. All work was undertaken as per our agreement. Advanced Roofline Systems completed all our fascias, guttering etc. Recently. Phil visited to discuss our requirements and was very friendly and professional. His team arrived on time, and were at our bungalow for 2 1/2 days. The materials used were of very high quality, and they did a really great job. The finished job looks amazing. They worked hard and on completion cleared away all the rubbish and left the premises clean and tidy. We cannot recommend them highly enough. 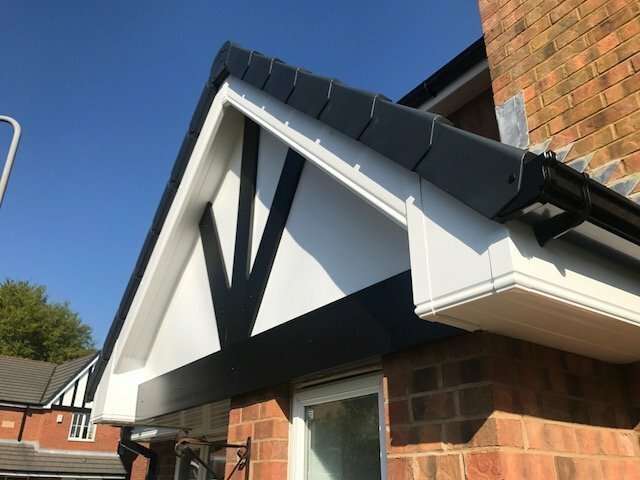 Advanced Roofline Systems are a high quality company fitting high quality products, and we recommend them without reservation. Excellent Results - very happy with the work and experience. 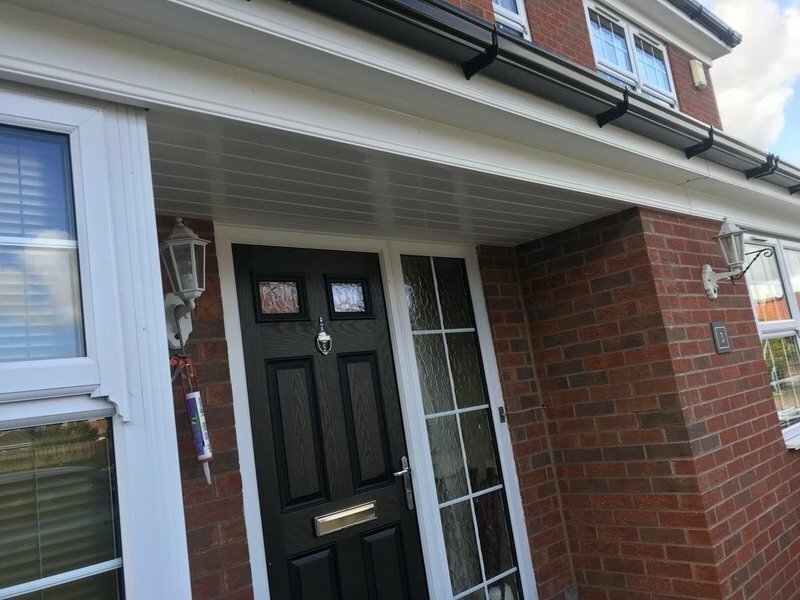 Removal and replacement of the existing wooden soffits, fascias and gutters, replaced with Black UPVC soffits, fascias and gutters. Mark came and looked at the work that would need to be carried out in November 2016. we had to delay the project due to construction work taking place. Mark remained in contact throughout. Steve and the team installed the new fittings over a 2 day period. They were clean and tidy and the work was completed to a high standard.